For those who live off the grid, it may be hard to believe that Jakarta today is any better than it was a decade ago. People still tolerate the long commute during the congested morning and evening rush hours. Many infrastructure projects block the streets, and for motorists, despite all the promises of better public transportation, they haven’t helped ease the daily chaos Jakartans endure. Home prices continue to rise, and when the rainy season comes, residents still have to deal with floods. But money is pouring into the city. 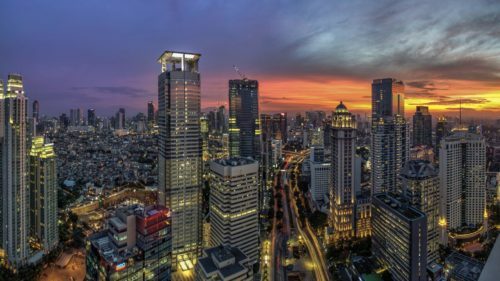 Investment Coordinating Board (BKPM) head Thomas Lembong said 95 percent of investment in the country’s digital economy sector was directed toward Jakarta, with a total estimate of Rp 25 trillion (US$1.78 billion) to Rp 40 trillion every year. This prompted the board and the city administration to create JakEVO, a mobile app with which a new company can register business permits (SIUP) and registration certificates (TDP). The program is expected to lure digital start-ups, both domestic and foreign-owned, to settle and develop in the city. After the success of four local tech behemoths each valued at over $1 billion, the government has put faith in the digital sector to propel the country’s economy. President Joko “Jokowi” Widodo himself said the country was embracing a fourth industrial revolution, in which technological advances will help the economy accelerate at an unprecedented rate. This means that, despite many parts of the country having yet to complete the transition from agrarian to mechanical and digital revolutions, society should be able to welcome technologies that will revolutionize they way they live.